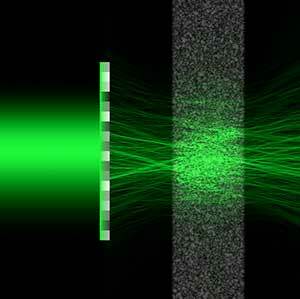 (Nanowerk News) Researchers have found a way to pre-treat a laser beam so that it enters opaque surfaces without dispersing — like a headlight that’s able to cut through heavy fog at full strength. A study announcing the technique appears in the journal Nature Photonics ("Transverse localization of transmission eigenchannels"). Spatial wavefront laser propagating through a strongly scattering medium without latteral diffusion. By shaping its spatial wavefront, a laser beam can propagate through a strongly scattering medium without lateral diffusion. 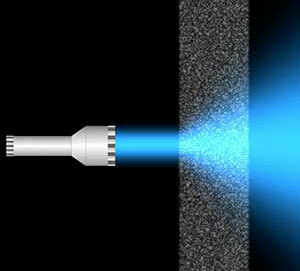 Moreover, the backscattering of light is suppressed. The enhancement of light transmittance and the suppression of lateral beam spreading keep the optical energy density high throughout the scattering medium. The first author of the study is Yale postdoctoral research associate Hasan Yilmaz. Additional authors are Yale postdoctoral researcher Chia Wei Hsu and Missouri University of Science and Technology associate professor Alexey Yamilov.